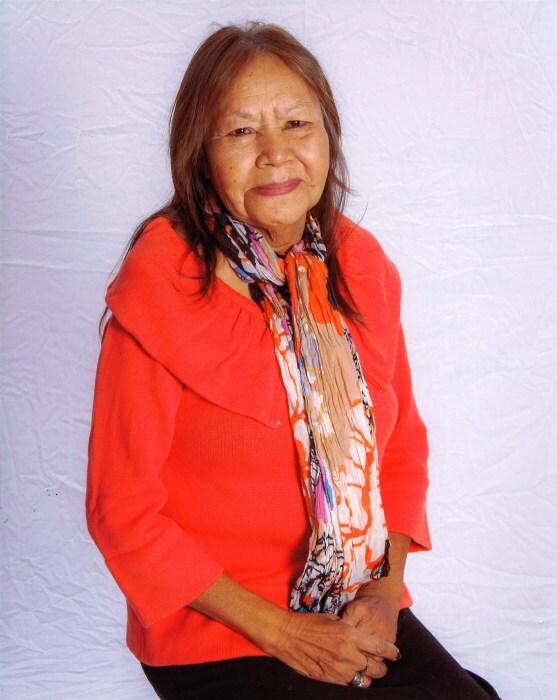 It is with great sadness we announce the passing of a mother, a sister, aunty, kokum and friend Doreen Agnus Thorn (nee) Keewatin –Bellegarde passed away peacefully with her family by her side on March 24th 2019. Predeceased by her parents Margret & Gordon Keewatin her bothers Mike Keewatin, Andrew Keewatin and Ken Keewatin and also her sister Beatrice Yaminiuk and her grandchildren Joseph and Kay-Lynn Bellegarde and Tyrone Moise. Doreen is survived by her children Murray, Gail, Pamela (Ray) Lyle (Raylene) Gordon and Jannee (Dave) Bellegarde, William, Mathew, Nick, Debbie, Brian (Missy), George (Bev) Nancy Thorn. Special nephews Ashley (Melissa) and “Gonzi”(Jason) Keewatin and niece April Keewatin and life long friend Vernon Bellegarde. She is also survived by her sisters, Cynthia (Lyle) Sangwais, Brenda Kinnon & Lorna Standingready; brothers, Richard Dubois and Gordon (Betsy) Keewatin. Doreen’s grandchildren were her pride and joy whom she loved very much. Justin, Mikey, Chase, Avery, Tyler, Joshua, Shayla, Fala Jean, Vernon, Rory, Jaxson, Texas, Daisy, Taylor, Landon, Carson, Taleah, Marcel, Lexus, Alora and Jason (jump jump) and countless great grandchildren. She also leaves to mourn her special friends, Christine Heavyrunner, Barbara Hooper, Pastor Glen Povey, Sharon Okeeweehow, Dion Desjarlais, Mike & Joanne. Wake will be held Wednesday, March 27th at 4:30 p.m. in the Peepeekisis Pesakastew School Gym, Peepeekisis Cree Nation. Funeral service will be held the following day on Thursday, March 28, 2019 at 11:00 a.m. in the same location. Funeral arrangements entrusted to Conley Funeral Home, Fort Qu’Appelle & Raymore 306-332-0555.